Elon Musk just detailed his ambitious plans for a new brain-computer interface platform. Superathlete Tom Brady revealed his “brain resiliency programme” to increase his athletic edge. Elite US military units are testing brain stimulation headsets to stimulate neuroplasticity and boost mental and physical performance. And they are not the only ones innovating at the frontier of brain and human enhancement. 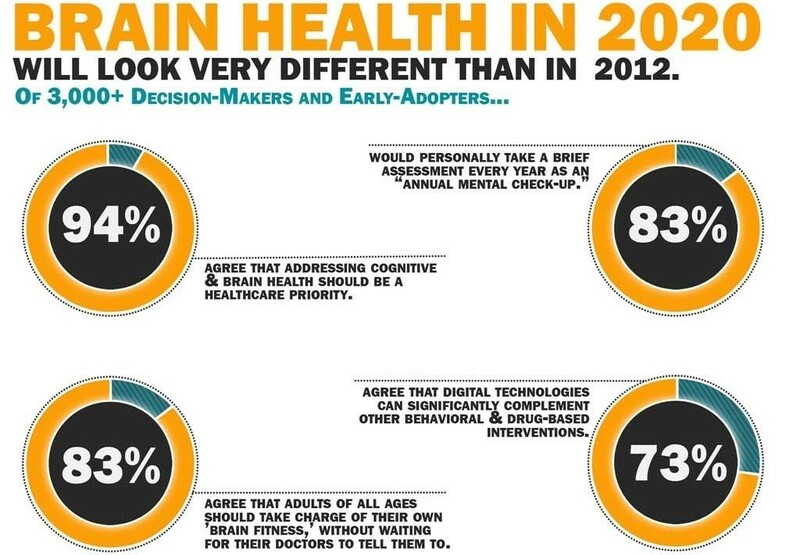 Hundreds of firms and research labs around the globe are researching and developing new ways to help brain owners perform at higher levels for longer periods of time, responding to latent needs in a society where increasing numbers see their brains as a priority and would even “take a brief assessment every year as an “annual mental check-up”, according to one survey. To help you see what’s going on, let me describe five key trends in this area. Assuming we harness the opportunity well (more on that later), I believe the future of brain enhancement is digital, pervasive and bright, benefiting every proud brain owner and not just athletes or “superhumans”. Brain enhancement is not a luxury for the few; it is a must for the many. 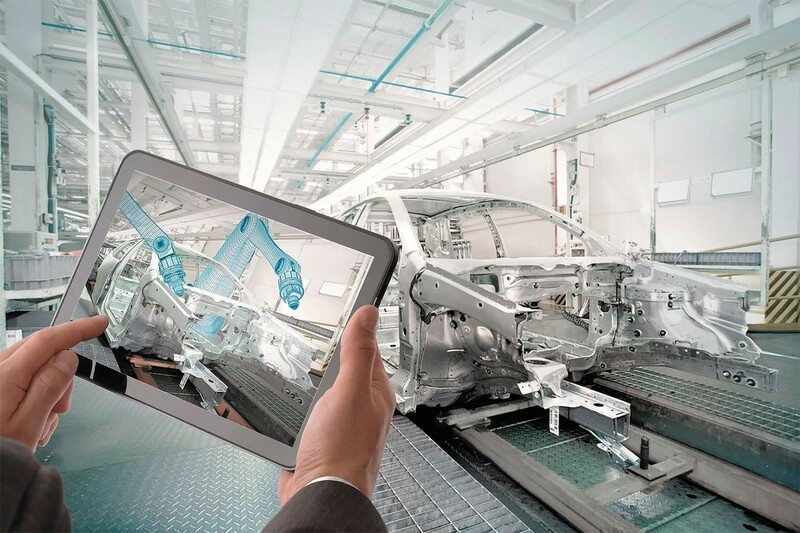 What can we do to strengthen brain connectivity at any age, enhancing complex problem-solving, novel thinking, emotional intelligence, agility, flexibility and strategic leadership – considered to be the top skills to succeed in the Fourth Industrial Revolution, as described by the World Economic Forum? And consider the many other needs out there. For children, learning and cognitive disabilities as well as concussions are growing significantly. Globally, around 350 million people suffer from depression. Add to that substance abuse and other mental health conditions. 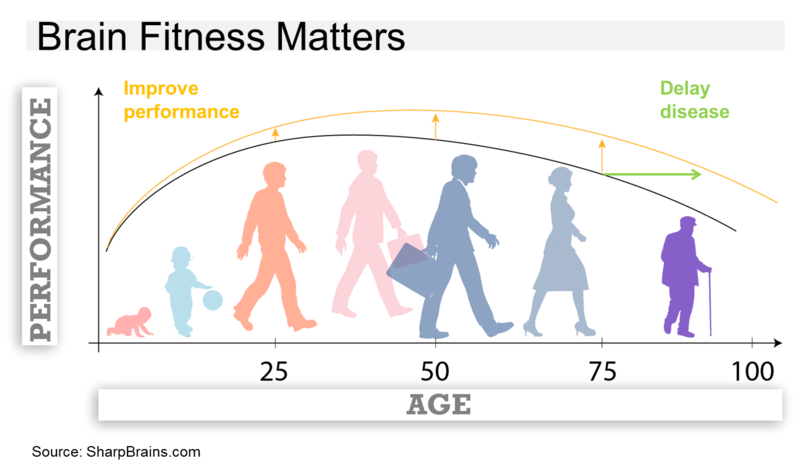 Last but not least, “staying mentally sharp” and addressing ageing-related cognitive decline is becoming a top priority, given that life expectancy has been growing both in developed and developing countries. Innovation is enabled by the core fact – called neuroplasticity – that the human brain continually changes itself through experience. Neuroplasticity, also known as brain plasticity, refers to the brain’s ability to rewire itself based on experience by generating new neurons and by forming new connections between neurons, among other factors. It was believed for a long time that, after a certain age, the brain became “fixed”. Now we know that the brain never stops changing, and that’s why there’s so much interest and hope around ways to harness that neuroplasticity to lead better lives, to enhance our brains, and to delay brain health decline. What follows from this fact is that we can strengthen specific circuits of the brain (through education, our jobs and lifestyles, and also through targeted interventions from meditation to cognitive training to neurostimulation), in order to learn faster, better and become more resilient. Many pioneers are working on ways to “harness neuroplasticity for good” via cognitive assessments and therapies (BrainHQ, CogniFit, Akili, Pear Therapeutics, MyndYou, Click Therapeutics, Cogniciti, SBT Group), mindfulness apps (Headspace, Claritas Mindsciences), EEG (Emotiv, Interaxon, NeuroSky) virtual reality (MindMaze), and more. 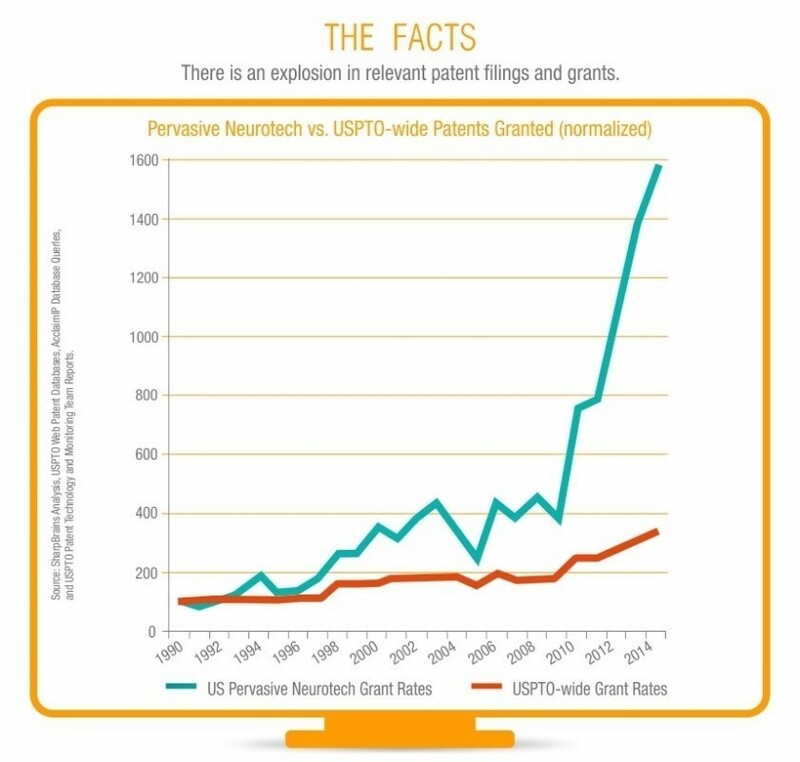 With both private and public investments backing innovation in the space, and with an explosion in pervasive neurotechnology IP filings since 2010, it’s not hard to see that growth will accelerate. Merck Ventures – an evergreen $300 million digital health fund backed by Merck – has five investments in brain-related companies, including a sizeable one in Akili Interactive Labs. Akili’s vision is to have FDA-approved monitoring and treatment environments (in essence, “videogames”) that certify the validity of efficacy against mental health issues such as ADHD, autism spectrum disorders, sensory processing, depression, Alzheimer’s, dementia and Parkinson’s disease. Similarly, Pear Therapeutics is developing app-based monitoring and gamification to tackle challenges such as substance abuse disorder, PTSD, anxiety, insomnia, traumatic injury and ADHD. MindMaze raised $100 million in 2016 to develop platforms based on virtual reality, augmented reality, computer graphics, brain imaging and neuroscience. There is also growing investments from public sources. In the US, the National Institute of Mental Health runs the Small Business Innovation Research Program and Small Business Technology Transfer Research Program, helping start-ups commercialize research. Interestingly, the majority of funding since 2005 has been aimed at supporting IT-based (as opposed to drug-based) initiatives. Up north, Baycrest recently secured $124 million from the governments of Canada and Ontario, industry and various donors to build the new Canadian Centre for Aging & Brain Health Innovation, with a mission to accelerate, innovate and drive adoption of proven brain health products. 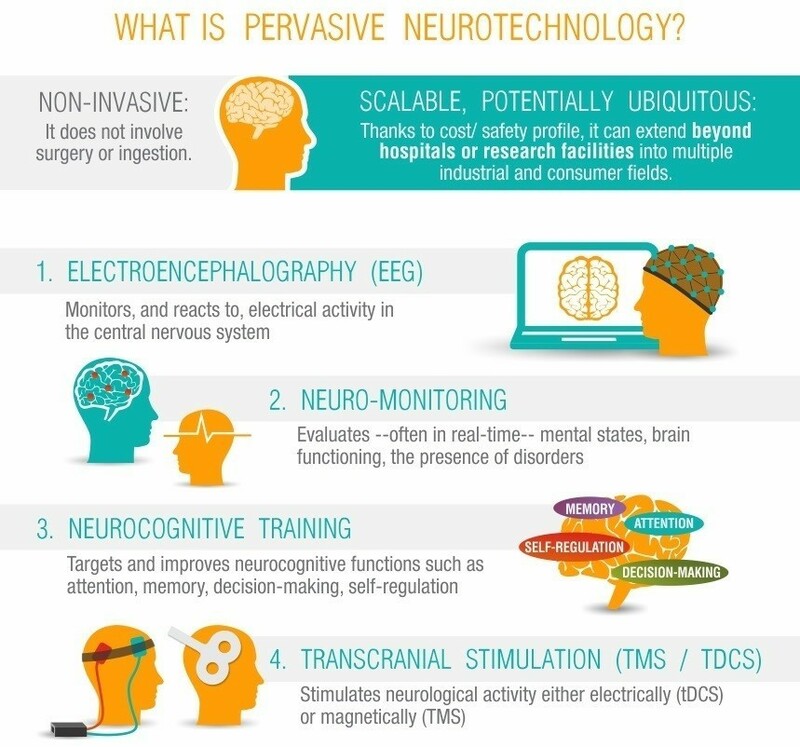 Would you (or should you) consider implanting electrodes in your brain (as proposed by Elon Musk’s new venture) when non-invasive methods could deliver many of the benefits with no risk? How will people know what to use and what not to use, and how and when? How will coaches, doctors, HR professionals and educators provide valuable guidance and education to end users? Fortunately, professional groups are stepping up to help. The American Academy of Clinical Neuropsychology has announced a new Disruptive Technology Initiative to “break down traditional silos in our education models so the next generation of neuropsychologists embraces engineering, coding and biotech”. Many coaches and educators of the future, such as the Institute of Coaching, the Watson Centre for Brain Health and Arrowsmith Program, are expanding their practices, helping integrate the growing range of options using frameworks – such as this one, to prioritize the multiple pieces in the brain health puzzle, using technology to augment (but not replace) our lifestyles. Last but not least, the World Economic Forum has convened a Global Council on the Future of Human Enhancement. A diverse group of 20+ research and industry leaders, our objective is to find ways to “improve the quality of life and function of individuals across the life course, and make communities more inclusive and cohesive through technological advances related to the Fourth Industrial Revolution”. Exciting times ahead…assuming we all break silos and help shape appropriate, responsible, human-enhancing innovation.